It has arrived perfectly, I'd like to thank, and I hope see you soon! 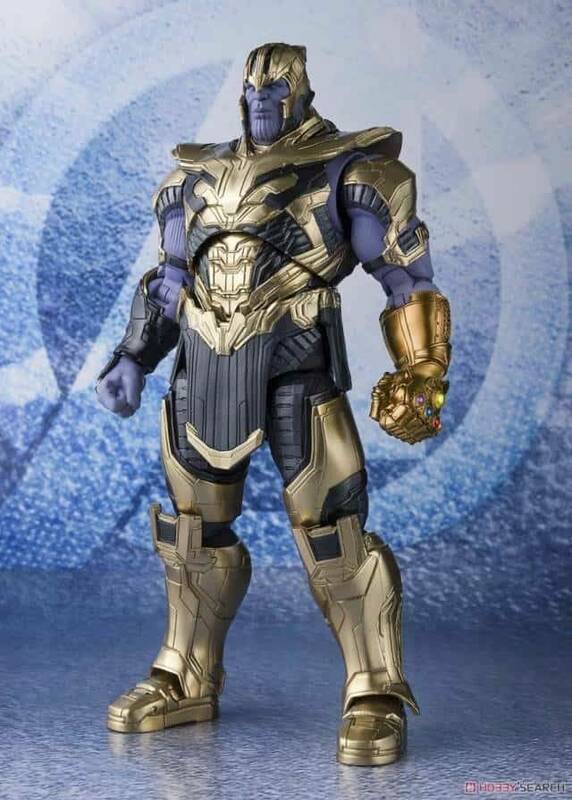 Very good figure! 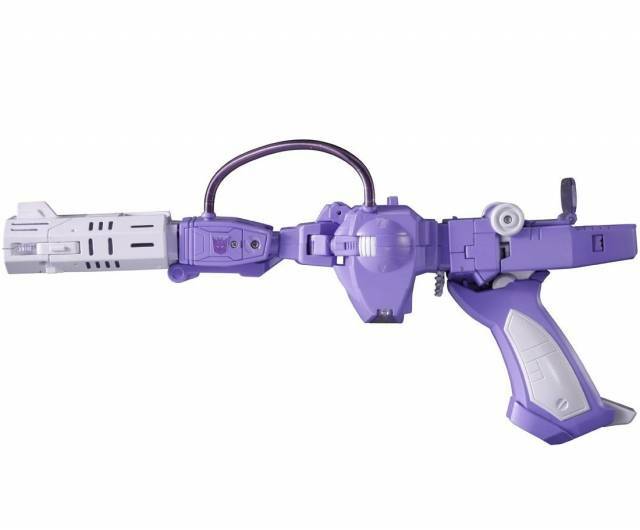 Amazing toy, but u got to put the decepticons signs on it by yourself. 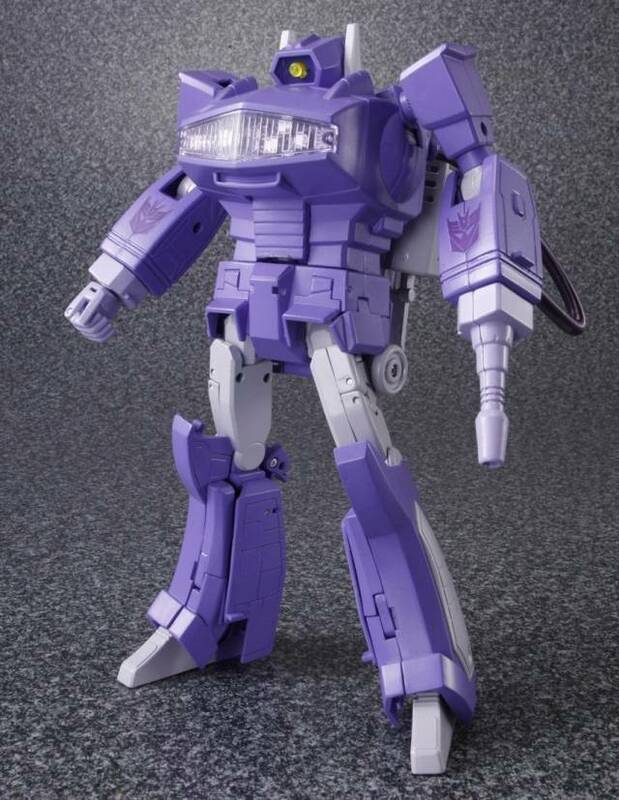 After receiving this piece in the mail I have to say that I was floored with the cartoon likeness that Shockwave displays. 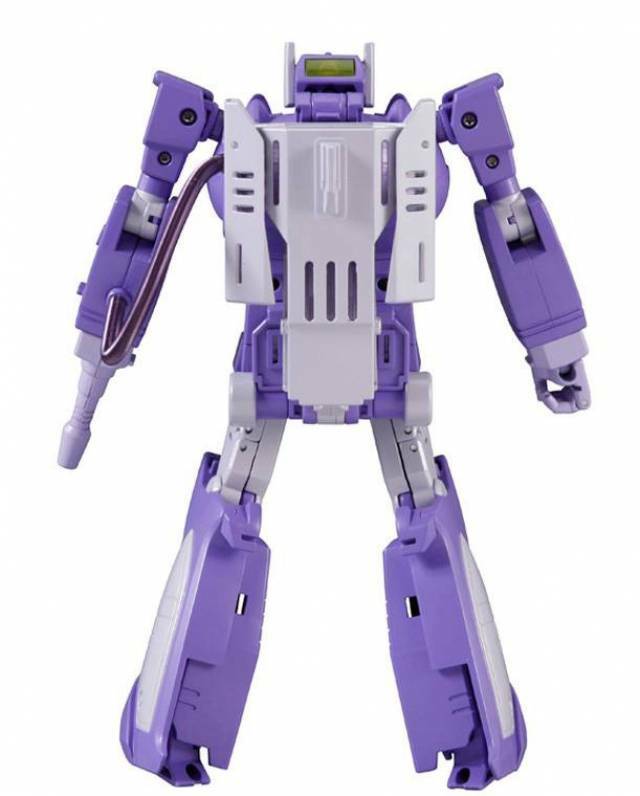 Before receiving MP-29 Masterpiece Shockwave in the mail the only representation of the character I had was the Fall of Cyberton deluxe class figure. 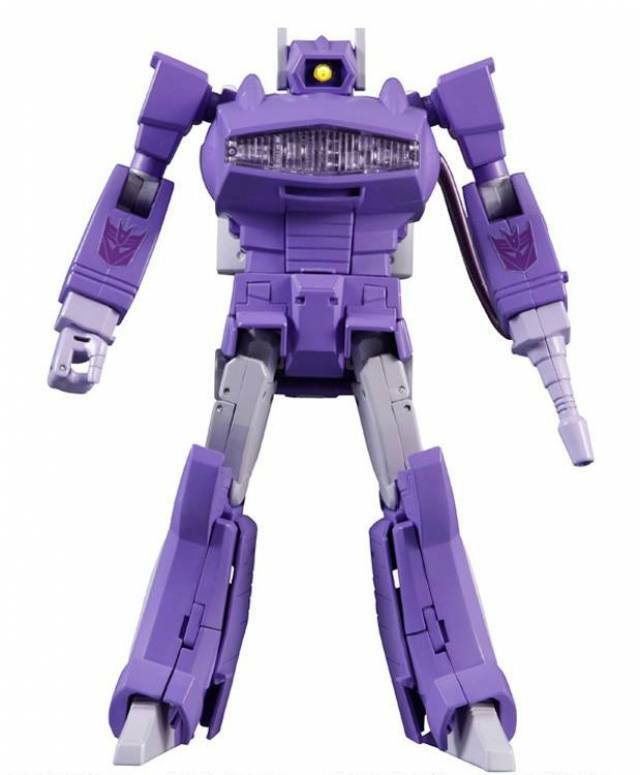 If you are fortunate enough to have the means to obtain MP-29 Masterpiece Shockwave he is defiantly great addition to any transformer collection. The LED lights in both the robot mode and the gun mode do not disappoint. 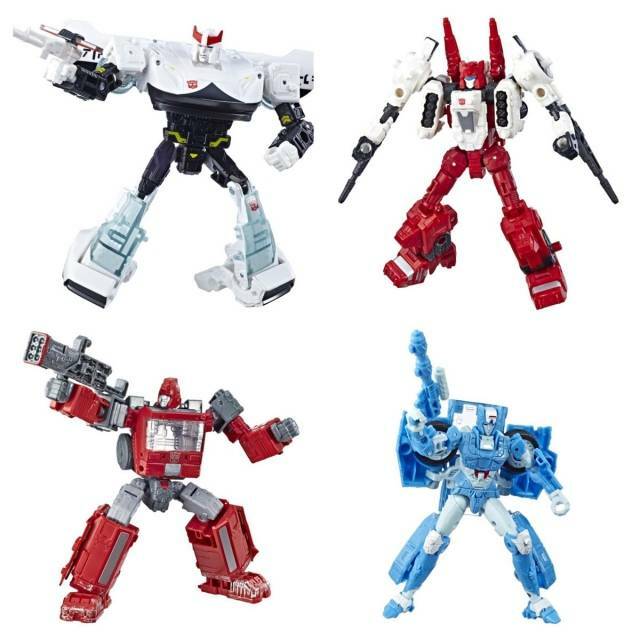 I have seen collectors online put off by the color of the figure, but if you watched the original animated series you know that consistency was not the show's strong point as it pertains to the size and colors of the characters. From what I have experienced that color of the figure seems to change depending on the lighting in the room. 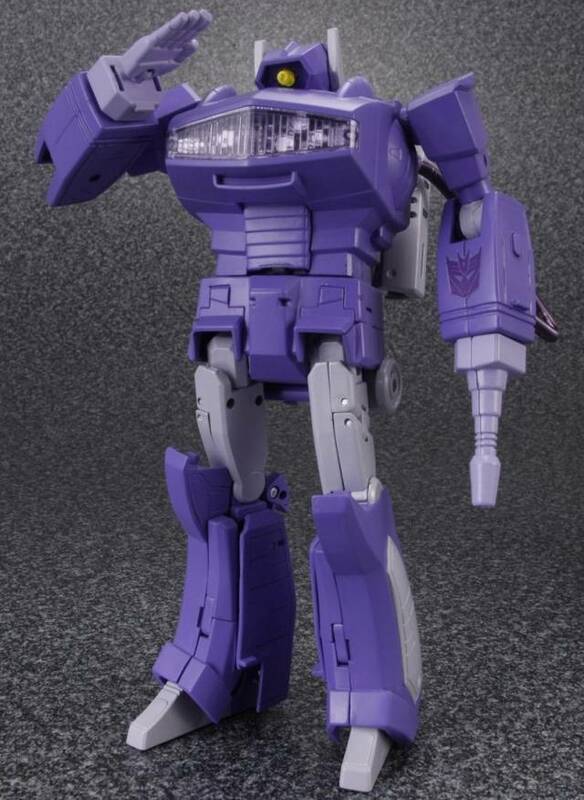 I am absolutely thrilled to have MP-29 Masterpiece Shockwave as the guardian of my transformer collection. 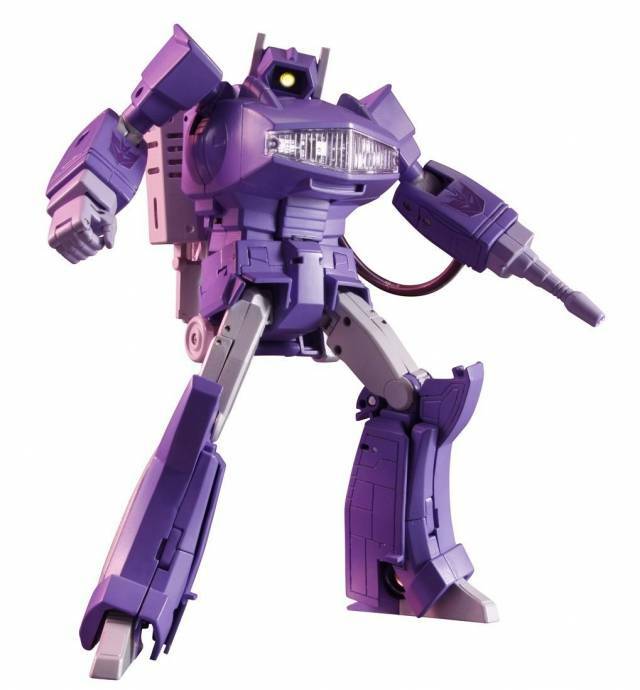 Shockwave was always one of those figures that was always out of reach for me as a kid growing up in the UK. 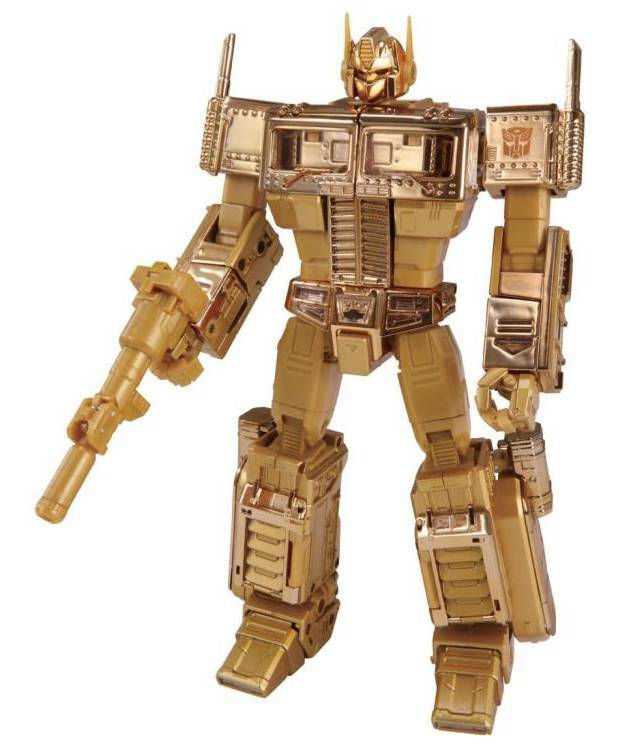 So to have a Masterpiece figure release is very exciting and it bears all the quality hallmarks of a Masterpiece. 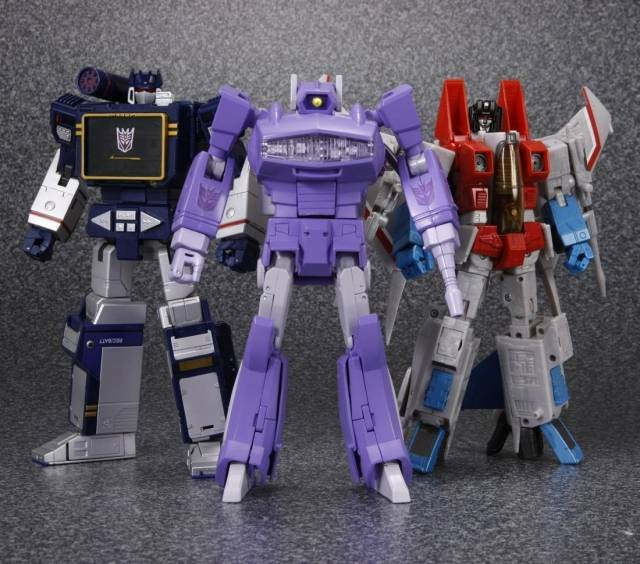 The new, 'Scale Standard' makes him standout against the smaller bots, as he's taller than the average Autobot, which feels right. 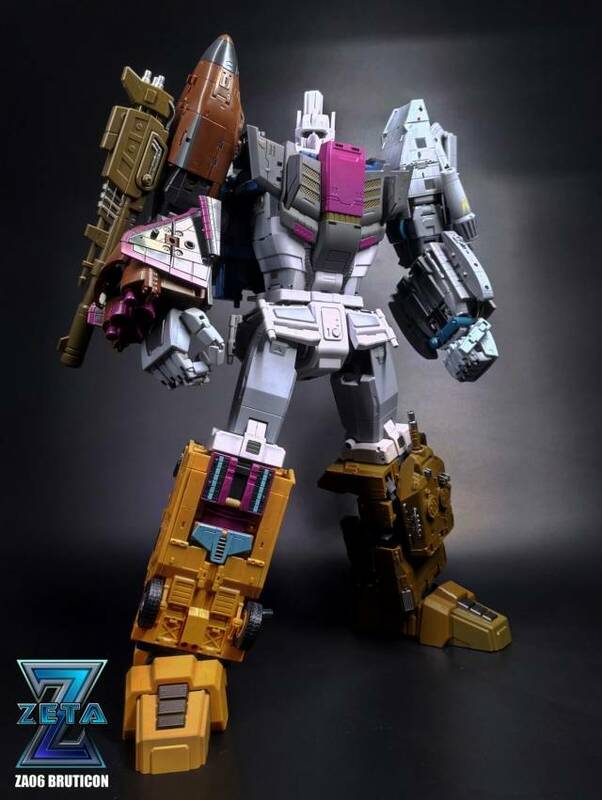 His backpack and alt hands are interesting, depending on what version you want to setup - original figure with transparent hands/cannon or cartoon setup with purple hands. 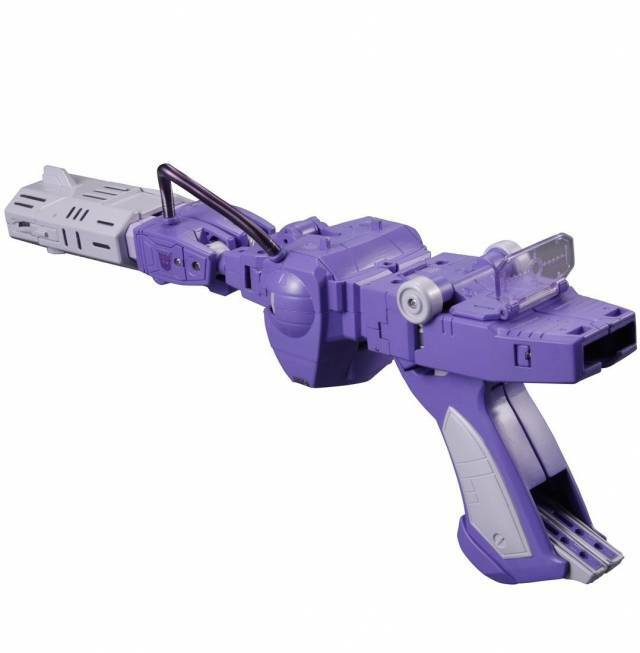 His cannon arm lights up like a laser and this also features on the main barrel in space gun mode. 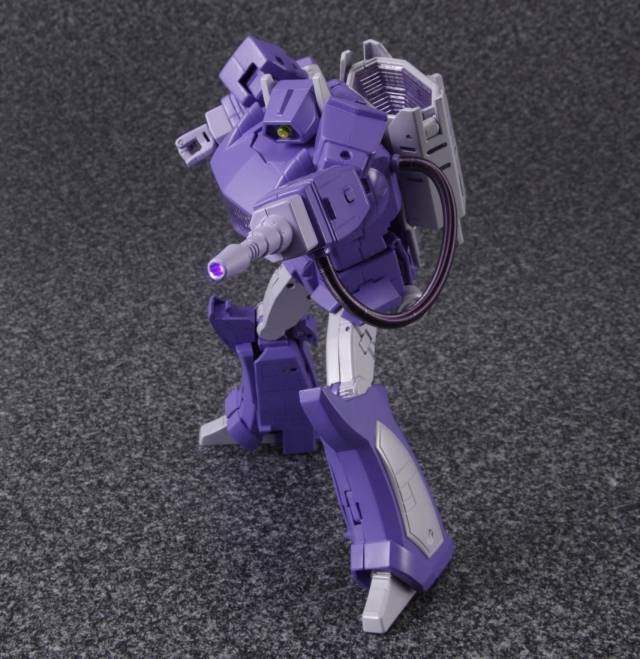 The pipe connecting his cannon arm to his backpack is a clever Spring-like hose that never loses shape. 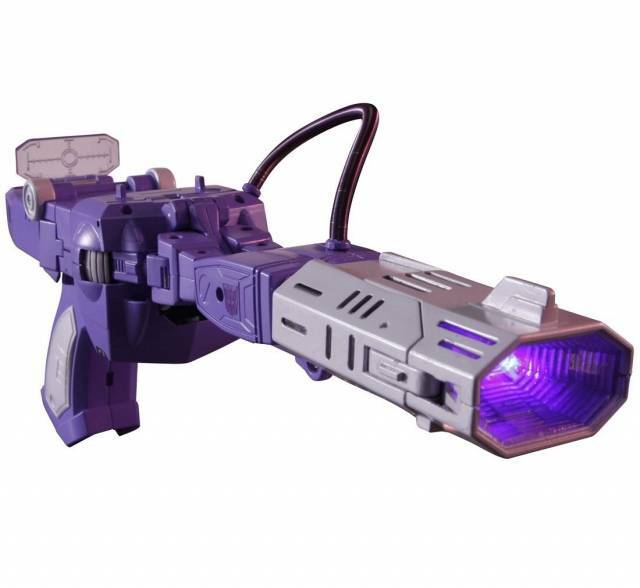 Finally, you get a small-scale space gun to use with your Decepti-creep figures and for me, the coolest bit is his iconic yellow eye, which has a small window at the back of his head so light can get in and make it glow! 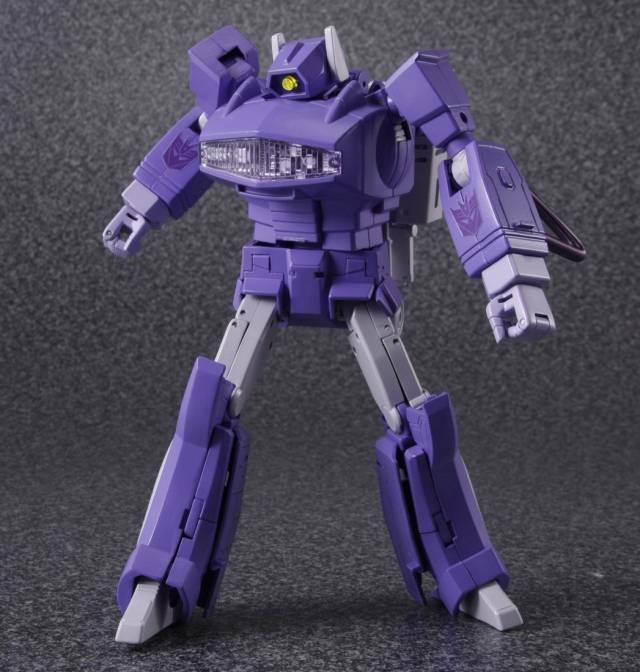 MP 29 Laserwave (Shockwave) was quite underwhelming initially but over the last week the appearance of him on my shelf has begun to grow on me. I realize the quality of the sculpt and I'm beginning to appreciate the unique color. Laserwave is an awesome figure that subtlety romances you until you realize just how beautiful it is. 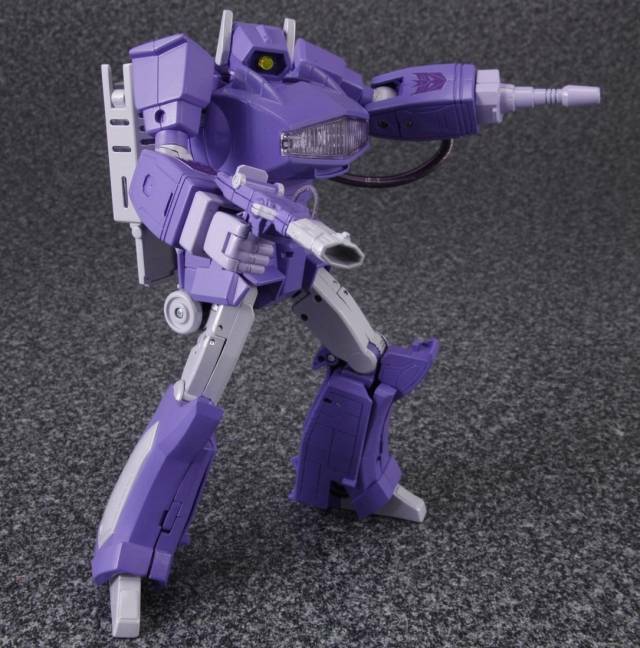 Shockwave is pretty spot on. I can't think of much room for complaint. 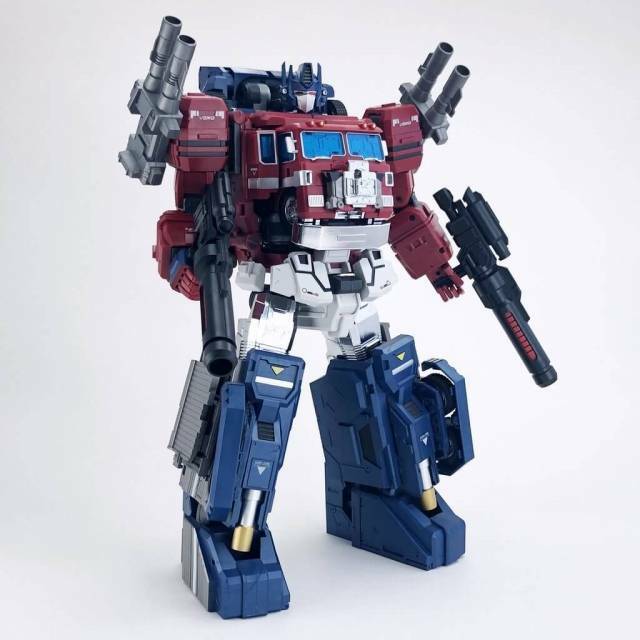 Other than wishing he was a bit taller and that his symbols were painted on instead of self applied decals (I'm terrible at those) I can't think of anything else to complain about. He really is pretty great and looks good in the collection.He isn't nearly as complicated to transform and the assortment of parts is a lot of fun. 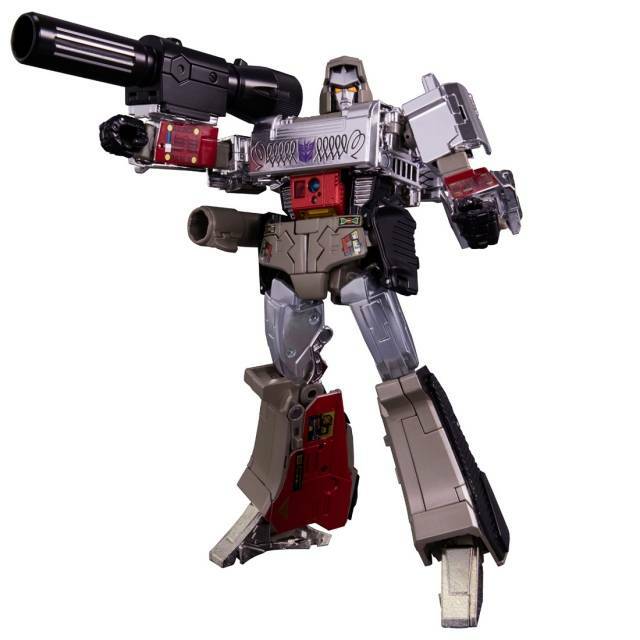 A worthy addition to the Masterpiece line and good to see a new Decepticon representation. 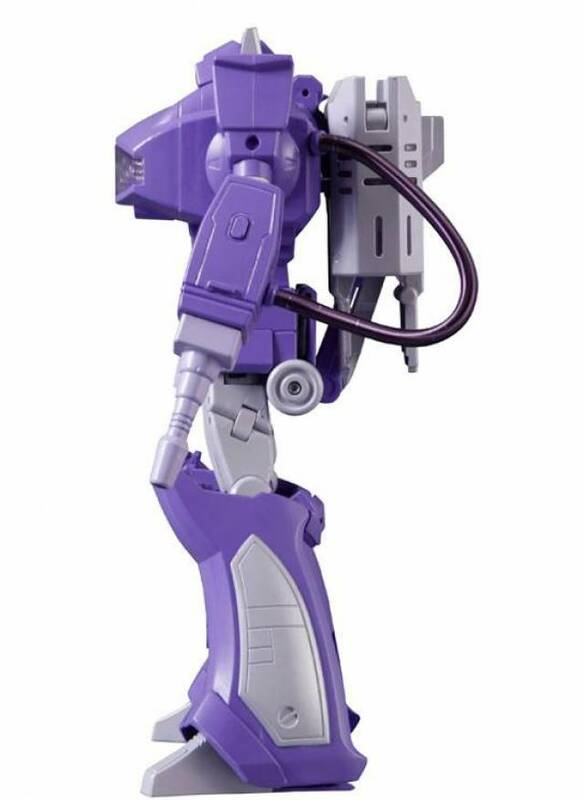 I was told that his arm tube is prone to paint chipping with a lot of use, Maybe just take care to remove it before transformations. Mine has been fine so far. 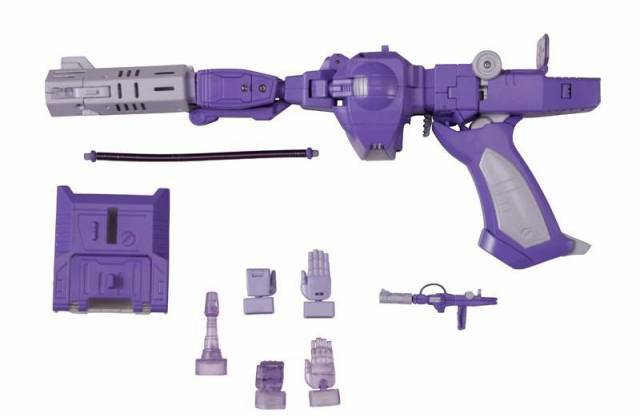 My one complaint about shockwave is when hiding the trigger and pulling down that little cover plate, mine came loose and slide upwards and came loose. I literally had to take mine apart to retrieve the loose part, which was a pain. 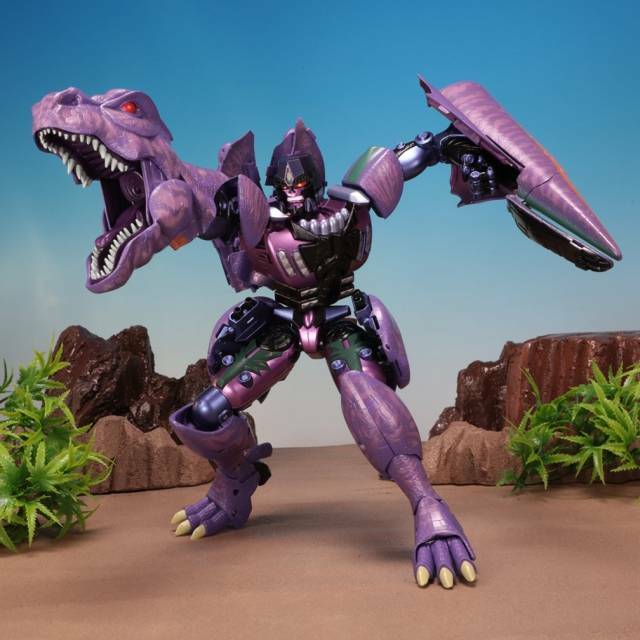 However, I still think shockwave is a still good part of my collection. 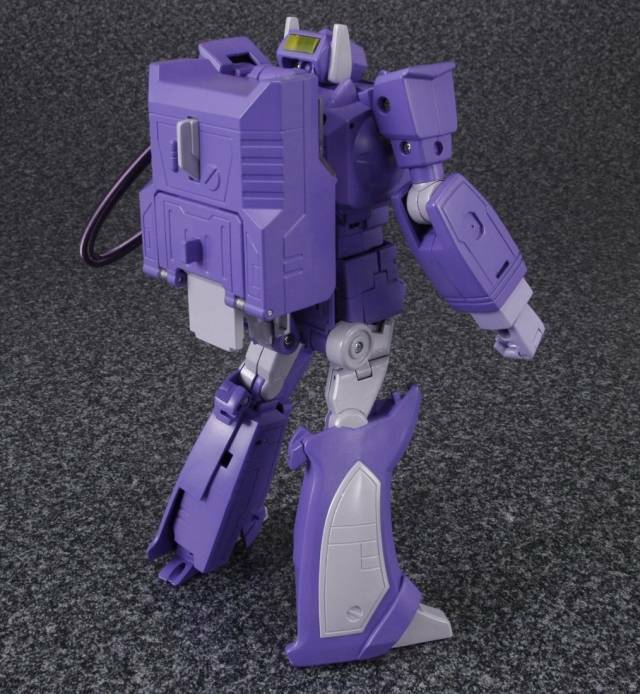 beautiful sculpted legs and overall G1 accurate look. My copy has a minor issue: the right leg's parts do not tab together as securely as the left leg. I thought the head had an issue but you can pull it up until it locks into place (requires some force).